Jon Hamm Returns to ’30 Rock’ … With his Fellow Jamaican Receptionists? 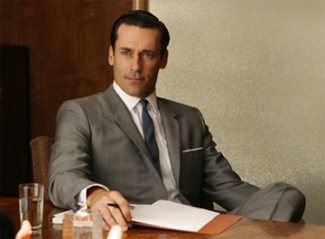 The Mad Men star returning to 30 Rock, with Jason Sudekis and Dean Winters? That’s more awesome than Don Cheadle on a bed of rice! 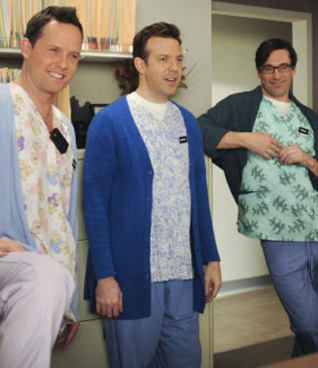 That reference, of course, is a nod to one of this season’s best 30 Rock episodes, “Anna Howard Shaw Day,” which featured that trio of actors as Liz Lemon’s (Tina Fey) ex-boyfriends, and, in a Liz hallucination, that trio of actors playing Jamaican receptionists working in her dentist’s office and gossiping about their Don Cheadle fantasies. Well, good news: In the May 13 episode of 30 Rock, Hamm and Winters return to play Liz exes Drew and Dennis, who she visits in hopes of sparking a reunion so she’ll have a date for the wedding of another of her exes, Floyd (Sudekis). 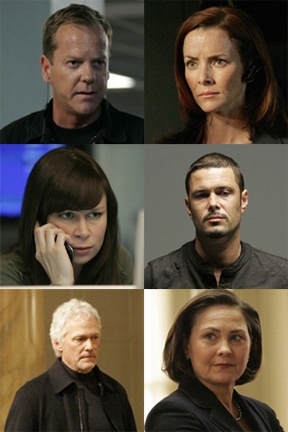 In the same ep, Michael Sheen also returns as Liz’s alleged “Future Husband,” while Elizabeth Banks and Julianne Moore also return as part of Jack’s (Alec Baldwin) love triangle. And Tracy (Tracy Morgan)? He enlists Kenneth’s (Jack McBrayer) help in his never-ending quest for the EGOT (Emmy, Grammy, Oscar and Tony awards). – The Hollywood Reporter has exclusive clips from the table read of the Family Guy abortion episode that won’t air (but will be released on DVD). Reactions? – More Family Guy news: Show creator Seth MacFarlane confirms matricidal baby Stewie is gay. Not that there’s anything wrong with that. 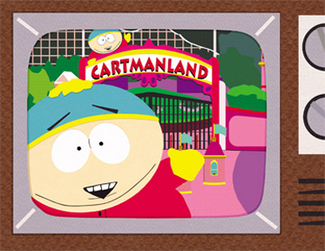 – In honor of the show’s anniversary – South Park premiered on Comedy Central on August 13, 1997 – the show’s official Website is featuring the never-aired original pilot that led to the series. The “only all-construction-paper episode” of the show will be available at South Park Studios.com for 30 days. – Bill Maher‘s bringing in the pretty boys for Real Time with Bill Maher on Friday: Brad Pitt and Ashton Kutcher are the guests. – Next TV show headed to the big screen: Battlestar Galactica, with Superman helmer Bryan Singer leading the way. – Twittering wasn’t such a great idea for Paula Abdul, but Man vs. Wild star Bear Grylls is using Twitter to line up guest stars for his show: He Tweeted an invite to Demi Moore to hit the great outdoors with him for an episode. – In answer to EW.com’s question “There’s no such thing as too much Jon Hamm … right?” the answer is, emphatically, right! Proof: Here’s Jon Hamm in Vanity Fair, Jon Hamm having lunch and chatting about season three of Mad Men with Chicago Tribune‘s Maureen Ryan and Jon Hamm in Huffington Post‘s collection of gratuitous Jon Hamm photos. Not that there’s anything wrong with that. – If this trailer is any indicator, FX has another big winner on its hands with the upcoming Timothy Olyphant “modern Western” Lawman. – This one’s been rumored for a while, and it looks like the Tony Danza reality show – in which the Taxi and Who’s the Boss star becomes a high school English teacher in Philadelphia (no, really) – is gonna happen. – Are you, or someone you know and would dare to nominate, the Worst Dressed American? Then you, or your frienemy, are just who TLC’s What Not to Wear is looking for. ‘Fess up to crimes against fashion at the TLC Website … the “winner” gets a makeover courtesy of WNtW‘s Clinton and Stacy. – Fox has a now-and-then slideshow of the cast of Family Ties, one of my all-time fave sitcoms. Most of them look swell, except for poor little Andy, a.k.a. Brian Bonsall. He’s gone the all-too-familiar former child star route, and looks like he has fangs now. Which, actually, given how ubiquitous anything vampire-related is right now, should get him a gig. Filed in Drama, Ya Gotta See This!